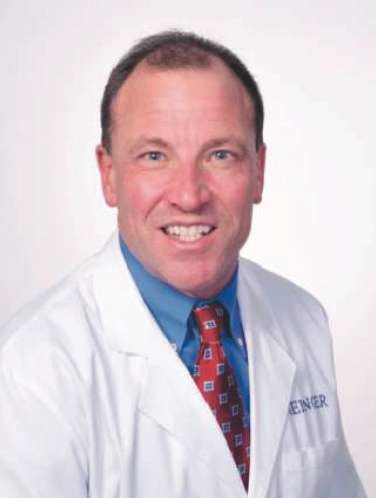 Christopher Still, DO, FACN, FACP, Co-Clinical Editor, Bariatric Times; Medical Director for the Center for Nutrition and Weight Management, and Director for Geisinger Obesity Research Institute, Geisinger Medical Center, Danville, Pennsylvania. During the past 10 years, just five fellowship programs in obesity medicine have been established in the United States (Harvard Medical School/Massachusetts General Hospital, Boston University School of Medicine, Geisinger Medical Center, Weill Cornell Medicine, and the University of Texas McGovern Medical School), but that number will be increasing thanks to the latest initiative in expanding education and training surrounding this subspecialty. The Obesity Society (TOS) and the Obesity Medicine Association (OMA) recently announced a new project called the Obesity Medicine Fellowship Development Program, a collaborative effort between TOS and OMA supported by an educational grant from Novo Nordisk. The American Board of Obesity Medicine (ABOM) is also involved, providing support through an in-kind donation of excellent administrative support and expertise. The aim is to expand obesity fellowship programs from 5 to 20 nationwide, and obesity prevalence projections predict that 50 programs will likely be needed in the long term to address this chronic and relapsing disease. This program, specifically for MDs and Dos pursuing a career in obesity medicine, will be overseen by a newly-established Obesity Medicine Fellowship Council of which I am pleased to be a member. The Council will develop a standardized curriculum for obesity medicine fellowships and will oversee the awarding of the seed grants. I believe this program will broaden physician’s competency and understanding of obesity, which will help fill the educational gap that exists in medical school curriculum. Educational/training resources in obesity have greatly increased in recent years, many that appeal to different levels of providers. For instance, the ABOM reported that 583 physicians who passed the most recent ABOM certification exam included internists (235), family physicians (176), pediatricians (43), endocrinologists (39), obstetricians/gynecologists (28), gastroenterologists (16) and surgeons (11), along with numerous other specialists. This brings the number of ABOM diplomates to exceed 2,650 in the United States and Canada. In addition, earlier this year, for Advanced Practitioners, the OMA announced a collaboration with the American Association of Nurse Practitioners (AANP) and American Academy of Physician Assistants (PAs [AAPA]) to develop an educational program to award a “Certificate in Primary Care Obesity Management” to Nps and Pas. Moreover, The Commission on Dietetic Registration also announced the “Certificate of Training in Obesity Interventions for Adults,” and as of May 2018, 300 participants have been awarded this certificate. These programs represent wonderful opportunities for providers of all disciplines and meet an individual’s interest in obesity care. Expansion of treatment starts with us. 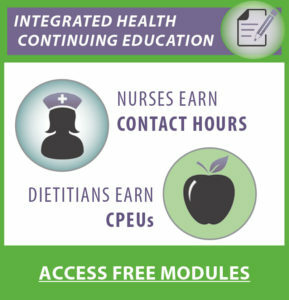 I’m excited to see that education and awareness are growing, reaching the universe of healthcare providers. For me, obesity medicine is a highly rewarding specialty and I encourage anyone with an inkling of desire to look into this new fellowship initiative.